PS4 vs. XBox One – Which Console Will Have The First ‘Light of Death’? In the next couple months we will finally be able to purchase one or both of the latest consoles from Sony and Microsoft. The question on every jaded gamers’ mind is – “Which one will have the Red Ring of Death (RROD)/Yellow Light of Death (YLOD) first? The sad state of affairs in console gaming became an on-going joke when the initial PS3 and XBox 360 models began to over-heat and fail in large numbers within months of release. The 360 took the majority of the flack as the RROD left almost every owner of the original ‘white’ XBox in fear that their console would greet them with the E-72/74 error. I was one of the many that had to send their console into M$ and wait impatiently for my gaming to return almost 2 months later. The PS3 wasn’t left out of this tragic hilarity either. Many of the original PS3’s (not as high of a % as the 360) started to overheat around the cell processer/gpu chip-set and required either a long trip to Sony for a fix or some sort of repair by melting the solder on your own with a heat gun… or even your kitchen oven (<— I know, right?). The moral to this story should be more of a warning than anything to people that want to get the new consoles on release day. You are going to be beta testers and you will get a front row seat to the engineering failures of the PS4 and XBox One. Which Has a Better Design For Ventilation? This is really anyone’s guess, but we can try to take a look at the consoles in their case design as well as their specs and start placing our bets. Considering both consoles are very similar in their power specs there shouldn’t be a lot of differential in heat produced. However, the PS4 is already ahead of the game by using DDR5 RAM instead of the XBONE’s slower DDR3. Sony seems to be learning from the mistakes they made in the design of the original PS3. While the PS4 is still relatively large in size, it isn’t enormous with a strange curvature and tiny vents like the ‘Fat’ original PS3. The PS4 seems to be trying for a well vented rear section rather than from the top side. Microsoft seems to think that the answer is to simply keep the console enormous and implement enormous ventilation areas. 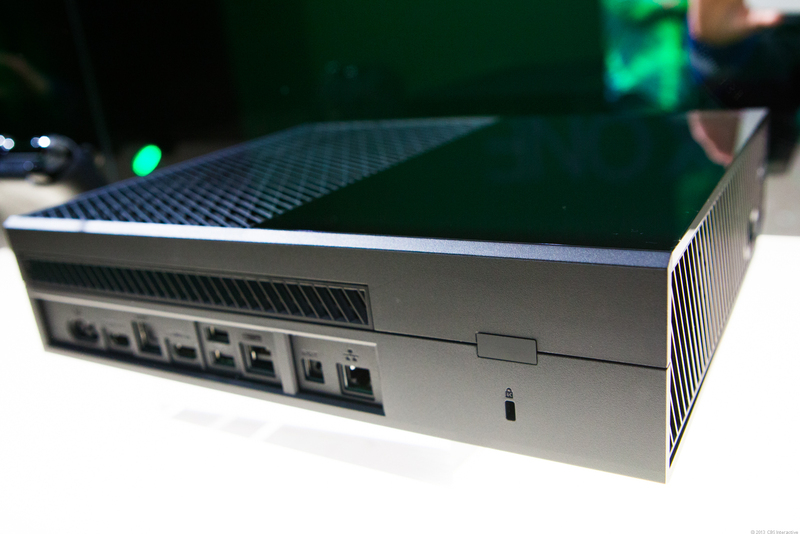 The XBox One has allocated half of the top of the console as well as the side and a slot on the back of the machine for ventilation. Which One Will Fail First? Based strictly off of pictures of the case designs the XBox One has an advantage in ventilation area but the sheer size of the console drives me to worry about the internal design and engineering of the console. The one thing that changed between models of the 360 and PS3 was that they got smaller (as most technologies do) as time went on. The PS4 seems to be trying to go in a similar direction to the PS3 original with rear vents (albeit, bigger vents). However, this might seem to be a case where less is more when compared to the XBox One. The XBox One will pose a greater risk for dying first and it is primarily because of the location of the vents on top of the console. While there is more ‘ventilation’ on the console itself, it is opening the worst possible part up for dust to settle by default. Consider the amount of dust that gathers in a console just through the back slots (even in a clean house). Now think about how much dust will find a way into the top of your console over the course of time. The size of this console and the placement of a giant fan under the top vent is begging to become a dust collector.